At POCA & POCA we dress girls in outfits of a princess of blooming gardens. We looked at her blossoming carpets, where on hangers made of green stems we discovered the most beautiful floral calixes - skirts. Subtle, white lilies of the valley, crimson roses, navy blue peonies and yellow irises emerged here and there. 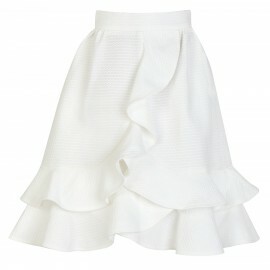 Airy, light, flowing down with mild pleats or cascades of petal frills. We've picked up a huge basket of floral ideas, added a few stars from the sky, ethereal dragonflies wings, a few drops of morning dew and secret stories - and so we've created elegant girls’ skirts by POCA & POCA, in which every young fashion-lover will gain a truly fairy-tale look. Drawing on the flower princess's fashion, we sewed an elegant skirt, reminiscent of vanilla-blue pansies - the textured fabric is decorated with flaps with pearl buttons which imitate drops of water. 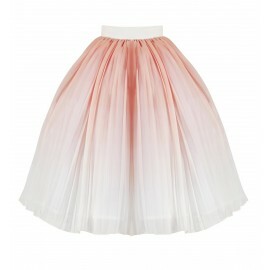 Rosy peonies bloomed in POCA & POCA with a long, pink skirt made of pleated tulle. 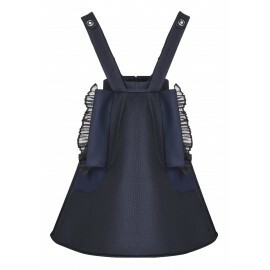 From the floral basket we also took out black roses, from which an unusual, multilayer pleated skirt with suspenders was made, decorated on the shoulders with beautiful, leafy bows. 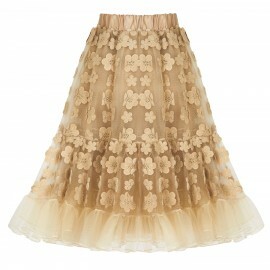 Special celebrations will be accompanied by a refined beige skirt with a high waist, richly decorated with a mesh of delicate flower petals, which shyly look from between the delicate pleats. 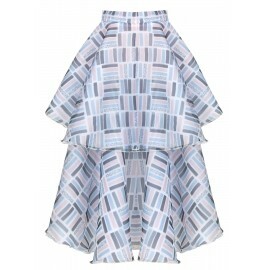 A long white girls’ skirt sewn from three cascade layers of textured and semi-transparent fabrics, overlapping with a fine asymmetry, will also be a choice full of class. 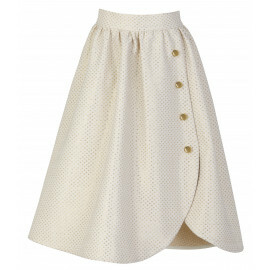 The nature-inspired POCA & POCA wardrobe also features classic, smooth girls’ skirts. 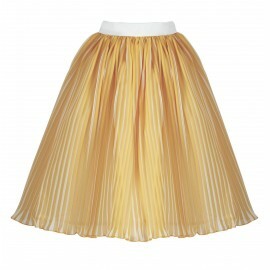 Yellow or navy blue flared skirt with delicate pleats is an excellent choice for special occasions and receptions. 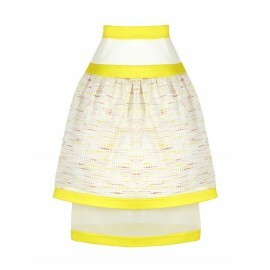 The pink or foggy lemon skirt, sewn from textured fabric, arranged in dense pleats, is in turn a sweet style for a family dinner or party with girlfriends. 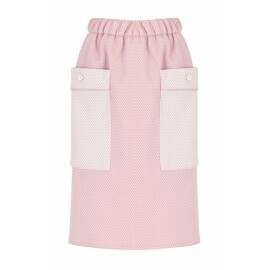 A skirt to go to school or meet friends? Navy blue with pretty stars, long, pink with pockets decorated with bows, or maybe the white one, which tells an unusual story of one girl? 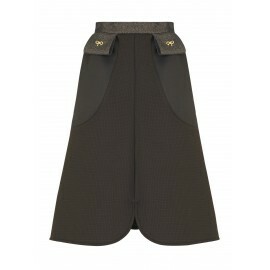 Girls’ skirts by POCA & POCA are flared or A-shaped and they feature high waist. This cut is not an accident! These trendy cuts are good for every woman's figure - from an early age. They optically lengthen and slim the silhouette, adding a lot of grace to it. 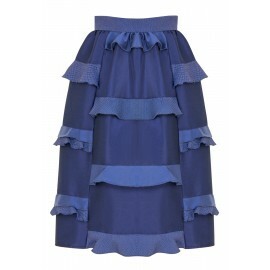 The skirt with high waist and subtly flowing down, flared pleats makes the outfit look spectacular and at the same time extremely comfortable - it is not tight and does not limit movements. You can freely sit at the table, dance and even run, which will surely be appreciated by elegant kids and teenagers. 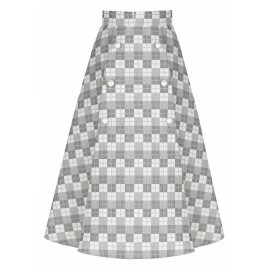 Having the comfort of young ladies in mind, all the skirts are made of high quality, carefully selected fabrics. 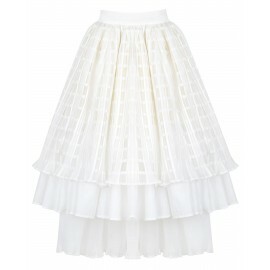 Thanks to them, POCA & POCA girls’ skirts arrange well, they are airy and they cover the body with a mist of subtlety.They are available for the little ones and a bit older princesses - they fit girls from 2 to 14 years old and 98 to 162 cm high. The bigger sizes will also fit petite women, which gives you full possibility to play with fashion together with the motto “like mother, like daughter”!